"I've got some really good goals this next year. I would like to grow at least three inches taller and three inches thinner." "My New Year's resolution this year would just be to stay sane." In anticipation of 2017, the Bates went on camera to discuss their New Year's resolutions. We shared Erin Bates Paine's a few days ago. 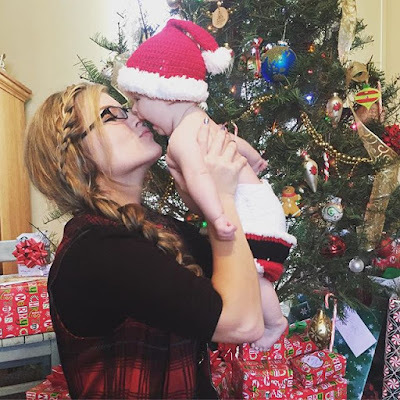 She hopes to spend more time savoring the moment and enjoying life with her little family of four. 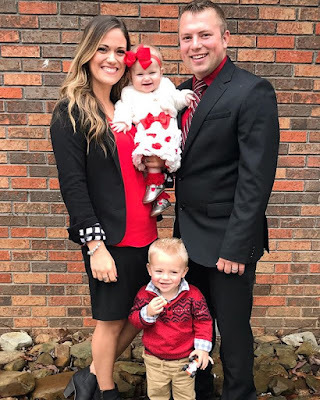 Scroll down to listen to what Zach Bates, Whitney Bates, Alyssa Bates Webster, and John Webster have to say. Wishing Zach Bates a very happy 28th birthday! Did you know that Zach's full name is Zachary Gilvin Bates? 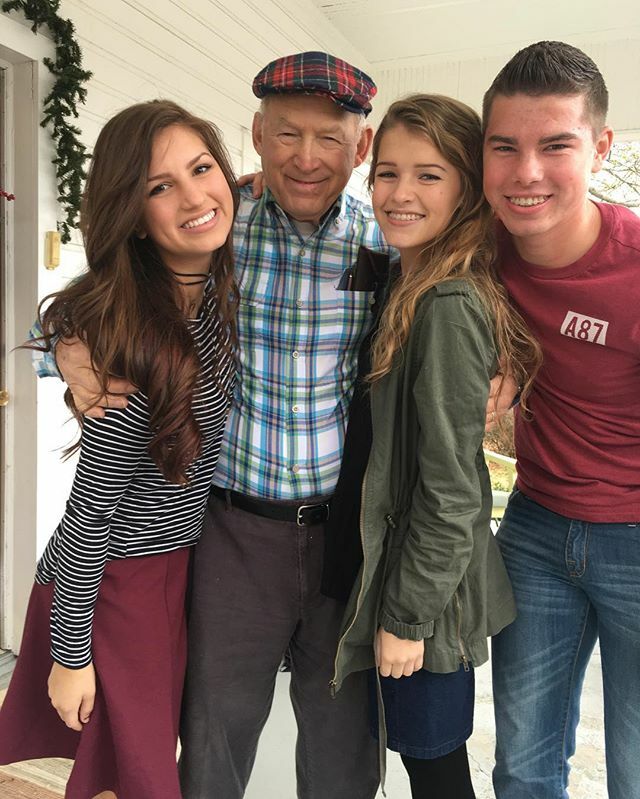 His middle name, which is also his son Bradley's middle name, has been passed down through at least five generations of Bates men. Zach's dad, Gilvin "Gil" Bates, celebrates his 52nd birthday on New Year's Day. 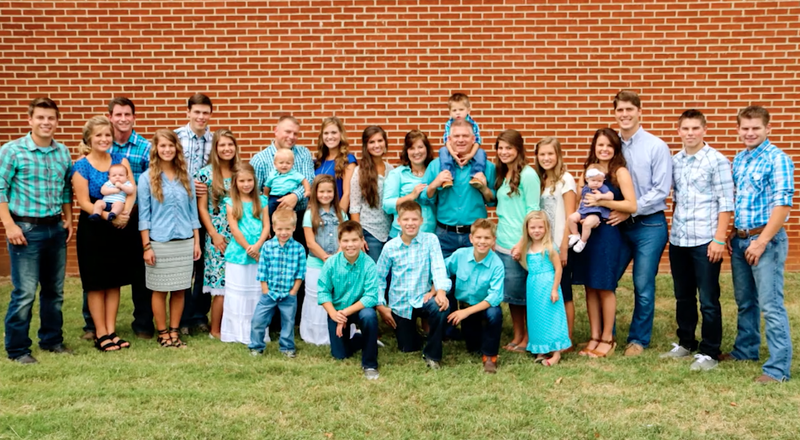 Today also happens to be a special day for the Duggar family. 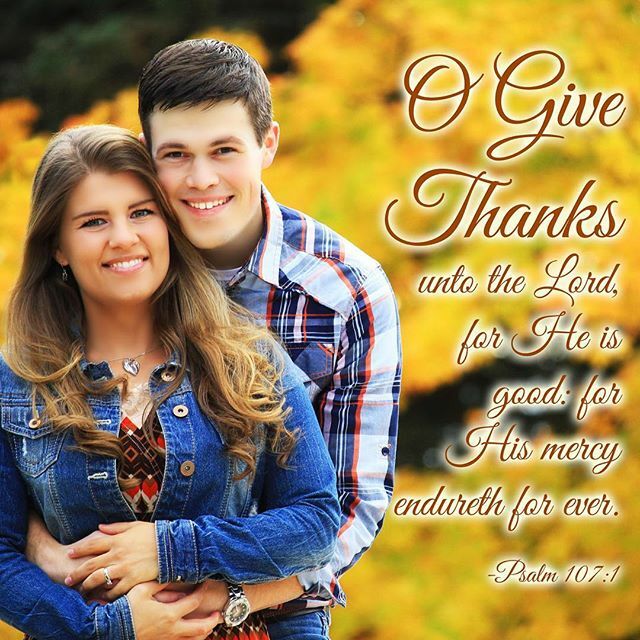 Happy 18th birthday to twins Jedidiah and Jeremiah Duggar. 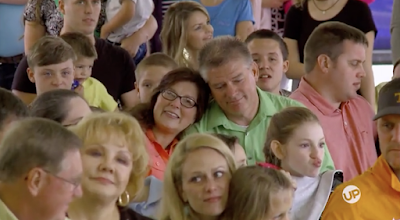 Only one week to go until the premiere of season five of Bringing Up Bates! The Bates marathon continues through this evening, with a year-end special airing at 9pm ET/8pm CT. Scroll down to view showtimes and the read the summary of season five episode one. 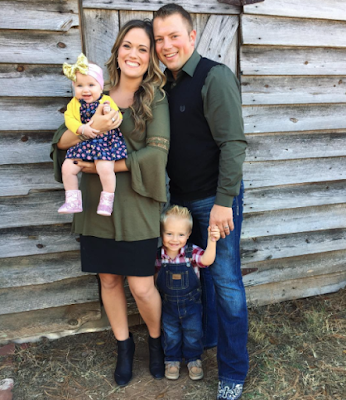 6:00pm: Meet Kaci Lynn Bates! 8:00pm: And Baby Makes Five? 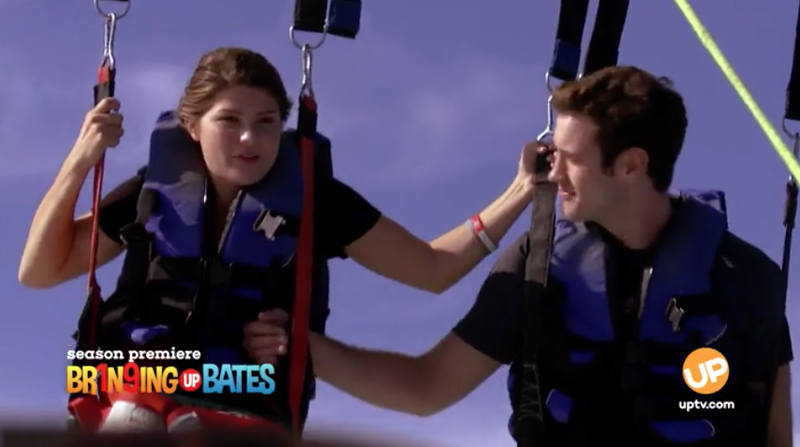 In this special year end episode, each Bates will tell us what their favorite moment has been from the past 4 seasons! 8pm: And Baby Makes Five? 9pm: Summer Lovin', Guitar Strummin' and a Surprise a Comin'! 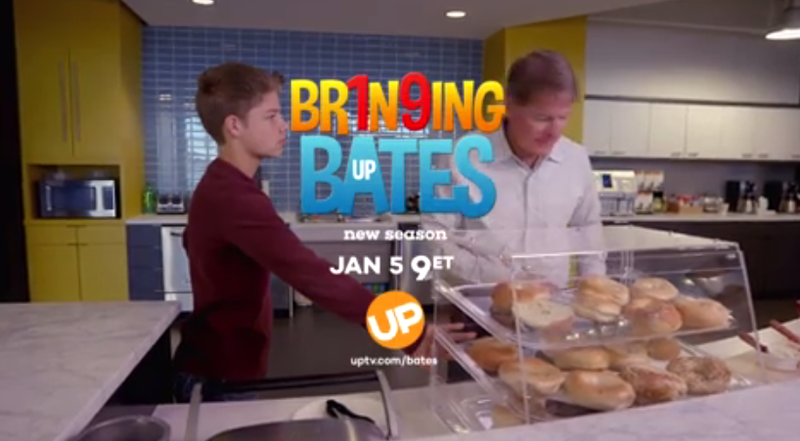 The Bates are back! It's a season of new beginnings for the entire family. First, they travel to North Carolina to pick up Warden, Jackson, and Isaiah from sleepaway camp but not without getting a VIP tour from camp counselor and Tori's boyfriend, Bobby. 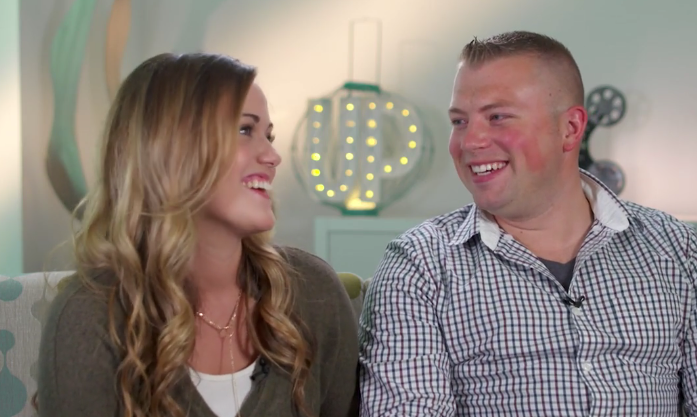 Could a future courtship be on the horizon for Bobby and Tori? 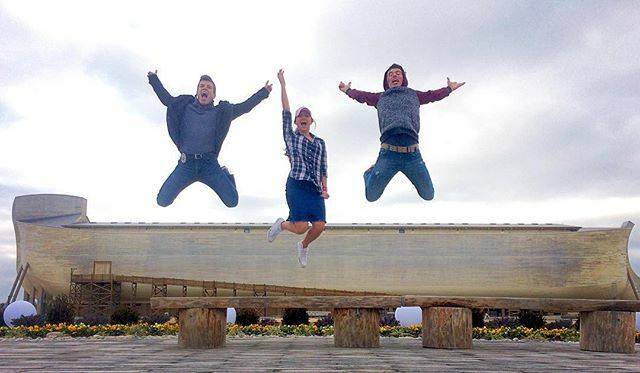 While at camp, the Bates have no idea what they're in for when they they're met with a giant scream-inducing swing and some wild water activities! 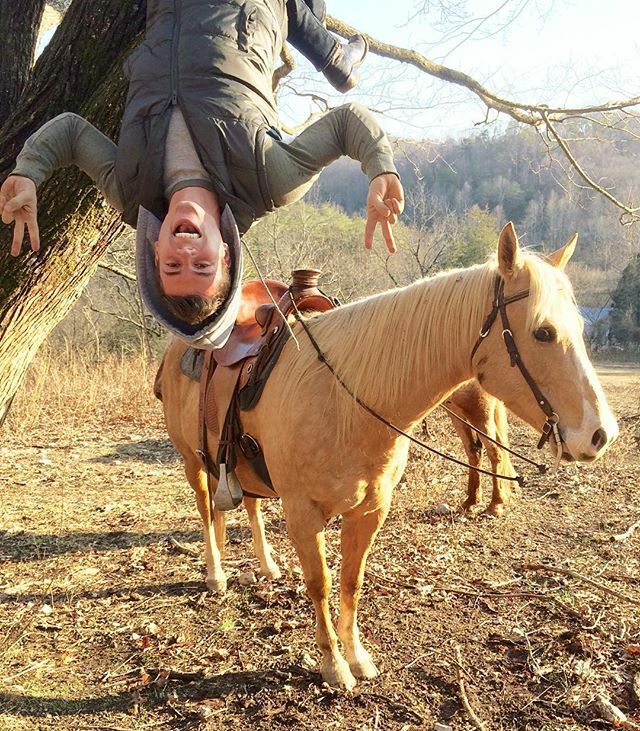 Meanwhile, Lawson is focused on his music career. He heads back to the studio to record a duet with country artist Emily Ann Roberts. 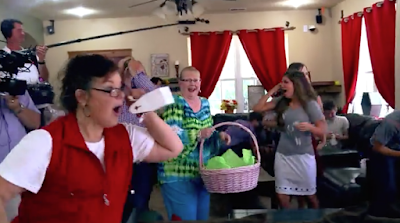 Later, the whole family gathers together for a special dinner and an unexpected guest stops by to surprise them with a big announcement! 10pm: Summer Lovin', Guitar Strummin' and a Surprise a Comin'! "It's so easy to let the little things just really get you worked up or stressed. I just want to remind myself...to make every moment count." 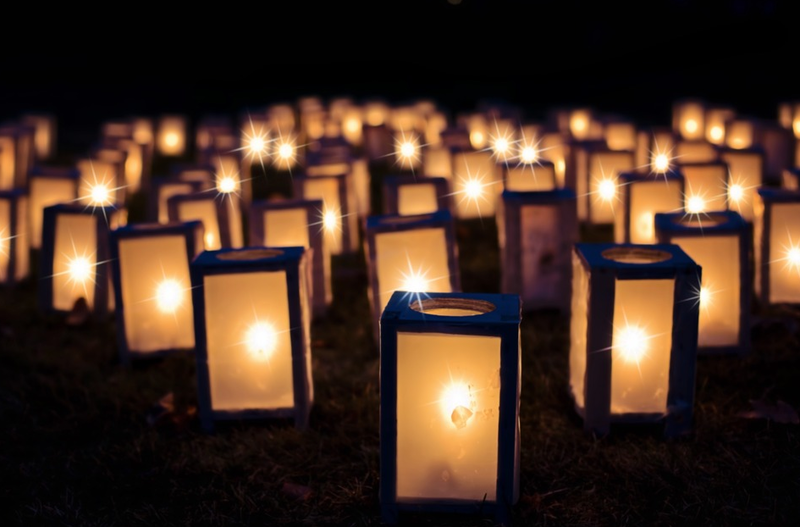 As the end of 2016 approaches, Erin Bates Paine shares her New Year's resolution. Do you have any goals for 2017? 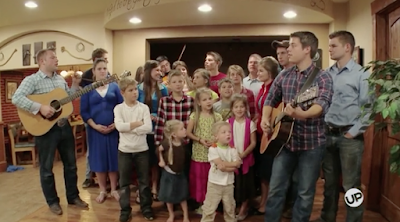 The premiere of Bringing Up Bates season five is just one week away. Tune in to UP on Thursday, January 5th, at 9pm ET/8pm CT.
For those who have asked, Whitney and Zach say they have prayed about the standards and convictions they will hold for their family. Whitney does wear pants, but out of respect for the convictions that her in-laws have, she only wears skirts when she is around them or filming for the show. But she says she knows Gil and Kelly love her regardless of what she wears. Graduation celebrations, musical achievements, birthday parties, driving lessons, risk taking, visits from significant others, and new babies. If we could sum up season four of Bringing Up Bates in two words, those two words would be laughter and chaos. As we look forward to the Bates marathon (click here for details) and the premiere of season five, let's take a look back at season four (recap video below). If you missed the other three recap videos, we have included the links below. 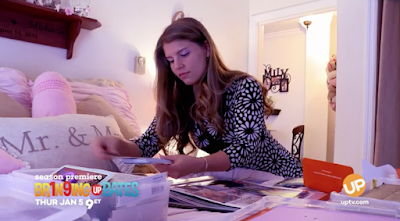 In just two weeks, the supersized Bates family will be back with all-new episodes of their hit reality TV show Bringing Up Bates. Season five premieres Thursday, January 5th, 2017, at 9pm ET/8pm CT on UP. To kick off the new season, the network will air a Bates marathon on Thursday, December 29th. The marathon will kick off at 7am ET with "Erin's Little Miracle" and end with an hour-long year end special at 9pm ET. During that special, each Bates will share his or her favorite moment from the first four seasons of Bringing Up Bates. Visit our Showtimes page for the list of episodes that will air on that day. Are you looking forward to the Bates' return to TV? Did you watch the promo video for the upcoming season of Bringing Up Bates, set to premiere on UP Thursday, January 5th? The snapshot above shows a chaotic scene from one of the episodes. Who or what do you think is responsible for the look of sheer shock on Kelly Bates' face? 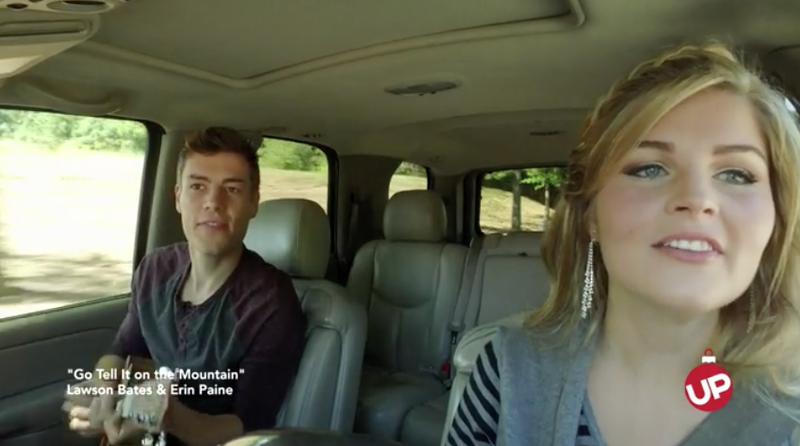 Did you see the video we posted of Lawson Bates and Erin Paine jamming out to "Jingle Bells" in the car? Pretty entertaining, wasn't it? They also filmed themselves singing "Go Tell it on the Mountain" (video clip below). Some of you already saw it because we embedded the wrong one into the "Jingle Bells" post (oops! ), but we corrected the mistake. Do you enjoy singing while you drive? It's no secret that the Bates love Christmas. In fact, they love it so much that they often start playing Christmas music in October. While driving in the car, Erin Bates Paine and Lawson Bates jam out to "Jingle Bells," accompanied by Lawson's ukulele (video below). Now if this doesn't put you in the Christmas spirit, we're not sure what will! Wishing Tori Layne Bates a very happy 21st birthday! Child No. 7 in the Bates family lineup, Tori is currently attending The Crown College of the Bible and plans to graduate with an education degree in three semesters. 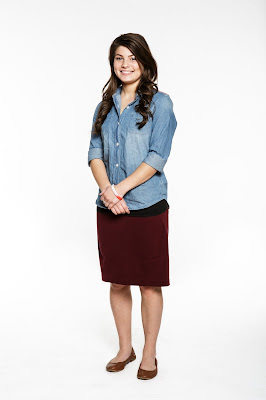 Tori loves being around people, sharing her Christian faith, and doing outdoor activities. Her boyfriend, Bobby Smith, lives in Florida, but Tori is hopeful that he will be moving to Tennessee in the next several months. 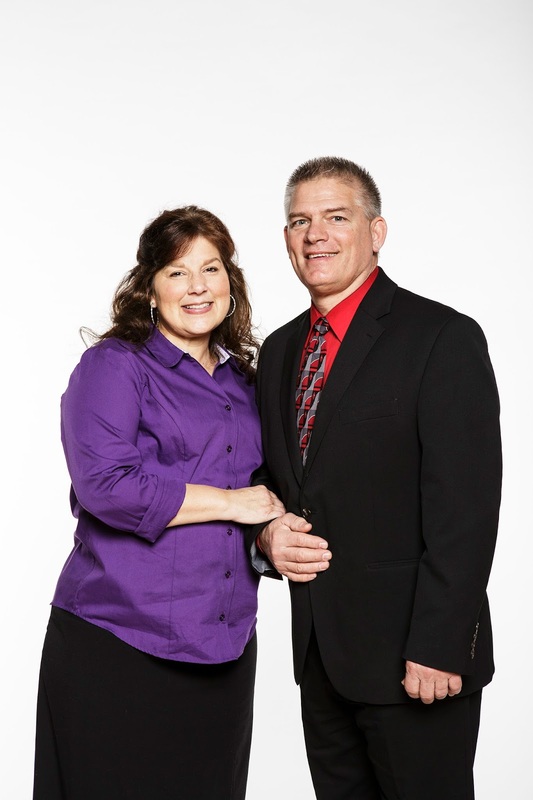 Happy 29th wedding anniversary to Gil and Kelly Bates! In less than 30 years of marriage, the Bates have welcomed 19 children, five (soon to be six) grandchildren, and four in-laws into their brood. 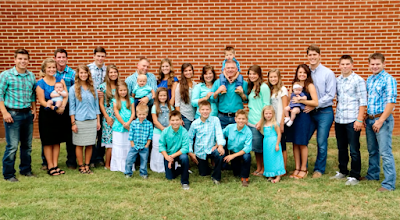 When Lexi Mae arrives in January, the clean will reach 31 members. 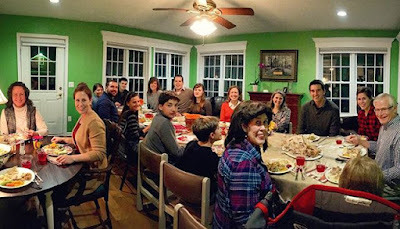 But more important than the size of their family is their incredible love for each other, God, and the people in their lives. Happy anniversary, Gil and Kelly! Check out the video clip below of a scene that took place while Gil, Kelly, and Michael were visiting with Brandon and his parents in Chicago just weeks before Michael and Brandon's engagement. It's pretty hilarious! Extra! Extra! The promo video for season five of Bringing Up Bates has officially been released. 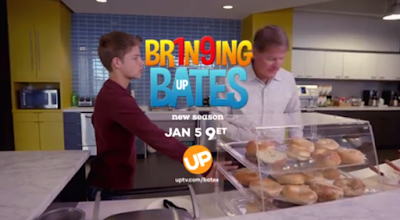 The Bates family has a lot of exciting footage in store for viewers, starting Thursday, January 5th, at 9pm ET/8pm CT on UP. What are your predictions for the upcoming season? 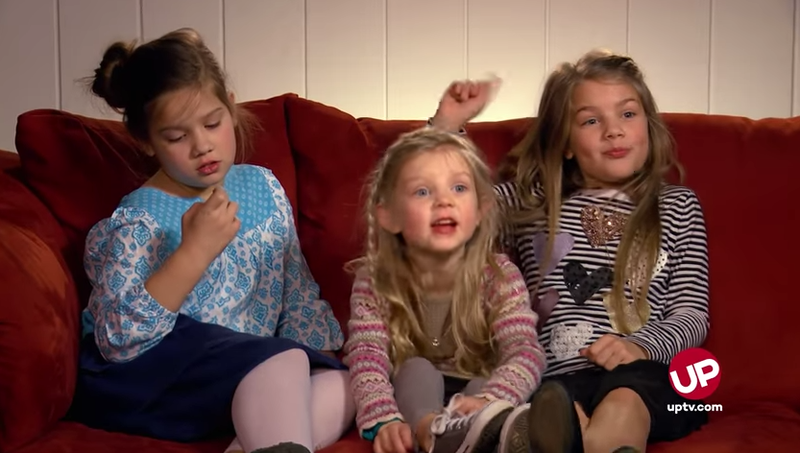 For those who live in Australia, season three of Bringing Up Bates is scheduled to premiere on TLC Australia on Monday, January 23rd, at 8:30pm AEDT. Thanks to a loyal international reader for sharing this announcement with us! 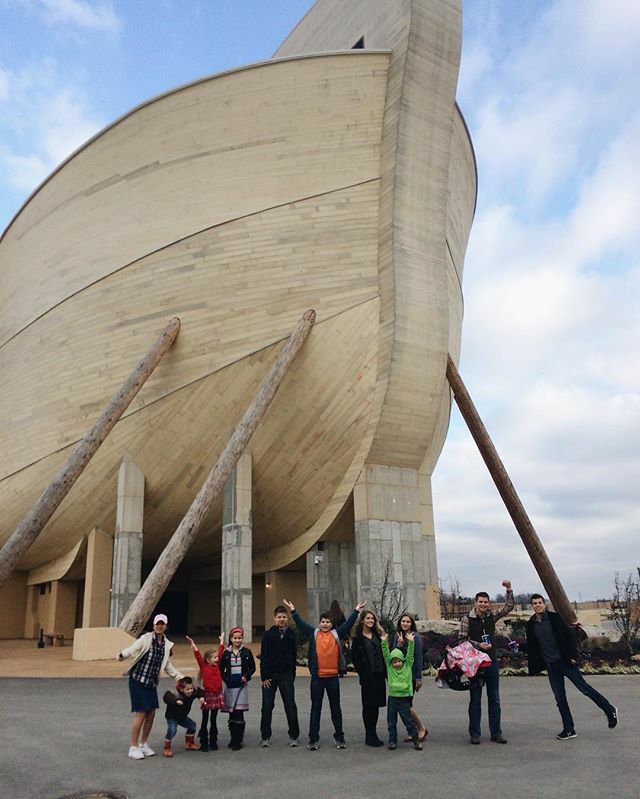 We would love to hear from all of you who live Down Under. Will you be tuning in? How did you first hear about the Bates? 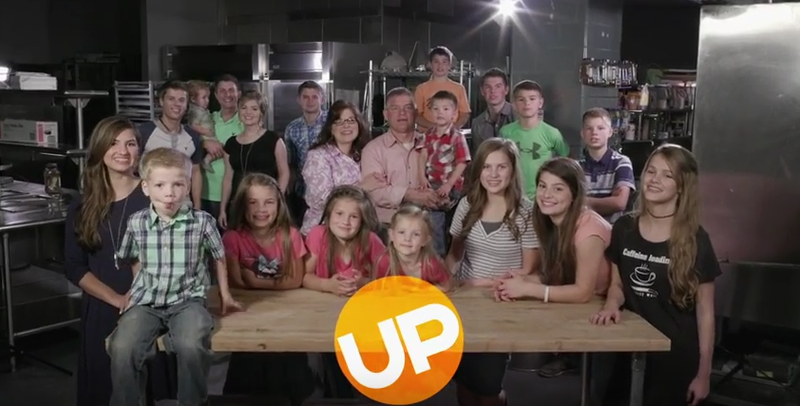 Earlier this week, we posted a video from UP that included all the highlights from season one of Bringing Up Bates. Today, we have recap videos of seasons two and three to share. 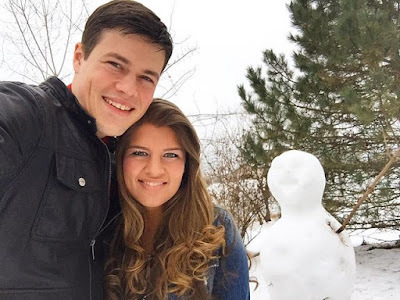 Season two of Bringing Up Bates premiered in June 2015 and included the Bates' visit with Brandon's parents in Chicago, Brandon Keilen's Washington D.C. scavenger hunt proposal to Michael Bates, wedding planning, the arrival of Allie Jane Webster, Kelly Bates' first airplane ride with Nathan Bates at the wheel, Lawson Bates' wisdom teeth extraction, Carson Paine's dramatic arrival, and many more exciting Bates happenings (video below). 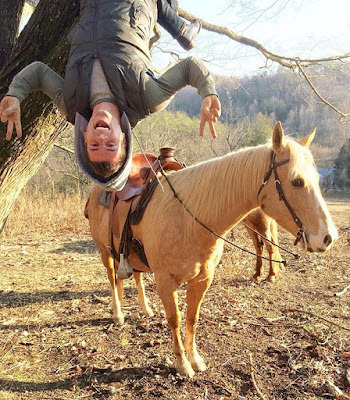 Season three began in January 2016 and featured the Bates/Keilen wedding, Zach Bates' graduation from the police academy, the Bates' trip to the beach, Lawson's visits to the East Tennessee Children's Hospital, Trace's trick riding lesson with riders from the Dixie Stampede, the Keilen's honeymoon, Bradley Bates' first birthday, the start of Nathan Bates' courtship with Ashley, and much more (video below). What were your favorite moments from seasons one and two? 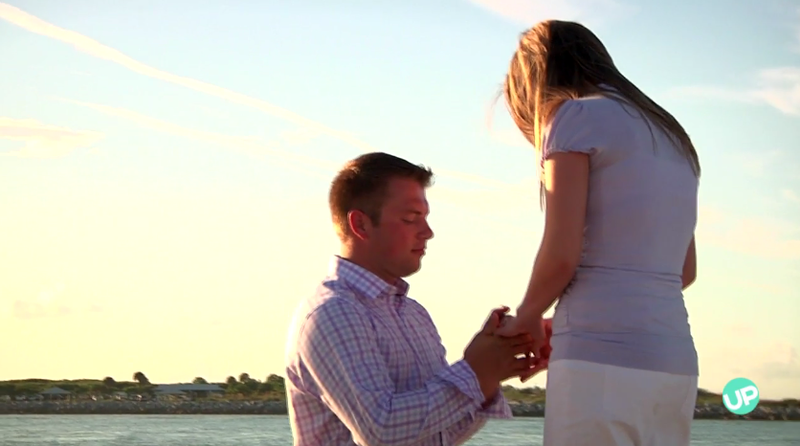 In honor of Zach and Whitney Bates' third wedding anniversary, let's take a look at this video of their engagement. Zach's elaborate proposal plan led the couple to Florida, where they checked multiple items off Whitney's bucket list before Zach popped the question on the beach. 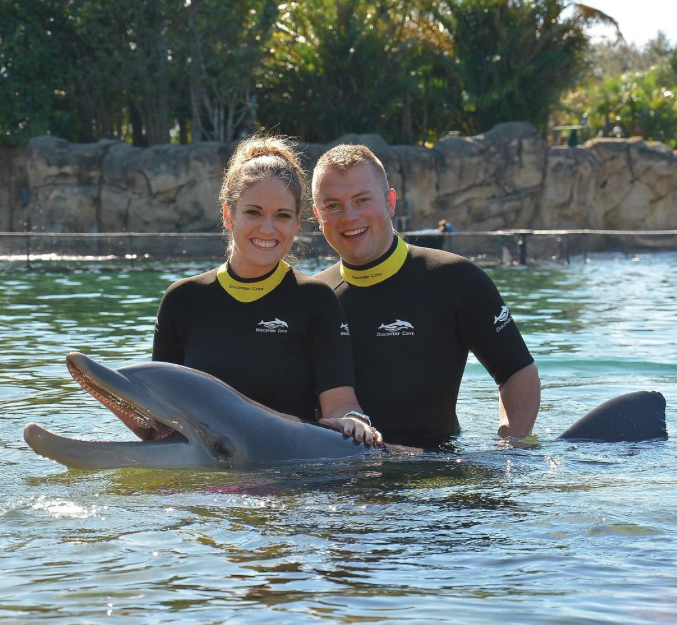 To celebrate, Zach surprised Whitney with a trip to Discovery Cove in Orlando, Florida, where they swam with dolphins and enjoyed the sunshine. Happy anniversary, Zach and Whitney! The Bates finally got around to making the three-hour drive up to Williamstown, Kentucky, to visit the ARK Encounter, something they have been wanting to do since it opened this summer. 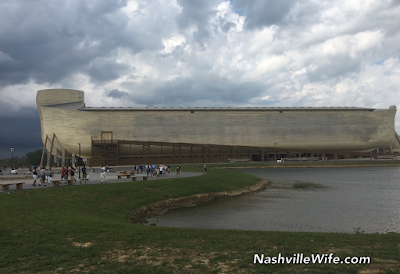 For those who haven't heard, the ARK Encounter is a life-sized replica of Noah's Ark. The inside of the structure is a multi-story museum that takes a few hours to walk through. 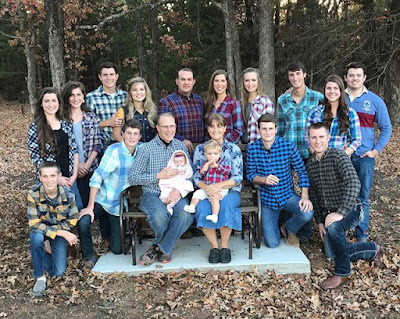 At the start of season one, the Bates didn't have any grandchildren, Michael and Brandon were still courting, and Erin and Chad were concerned that they wouldn't be able to have kids. There sure have been a lot of changes since that time! 'Tis the season for Christmas! Check out this festive video from UP, featuring clips from various holiday-themed movies and shows, including Bringing Up Bates. 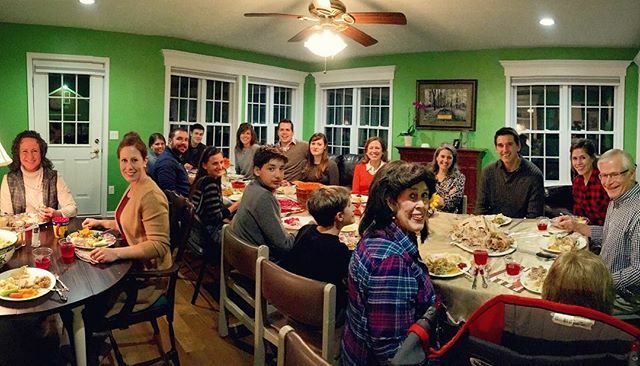 Which Bates family members can you find? 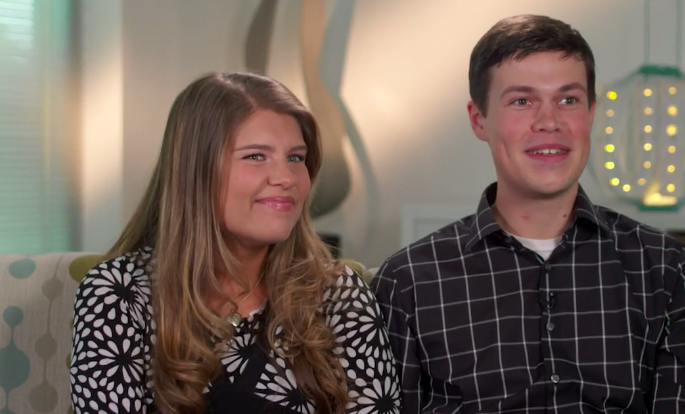 In season five of Bringing Up Bates, it’s a time of “New Beginnings” for the family, as the entire crew takes on new and exciting challenges. 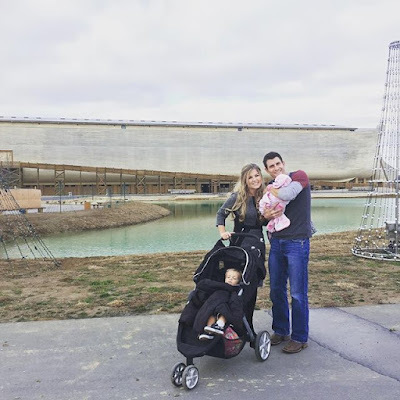 Zach and Whitney are adjusting to life as parents to two kids, Erin and Chad are adjusting to a new baby and a new puppy, and Lawson takes on the challenge of launching his own concert tour. Meanwhile, Alyssa has some exciting news to share that will certainly change things for her and John, Tori sees her relationship with Bobby evolve into something more serious, and Carlin and Josie adjust to a new college and possible new careers. Trace takes the necessary steps to fulfill his dream of working at the Dixie Stampede, and Gil and Kelly Jo are forging full steam ahead with their dream – building a church. It’s certainly going to be a busy year full of big surprises for the Bates family. 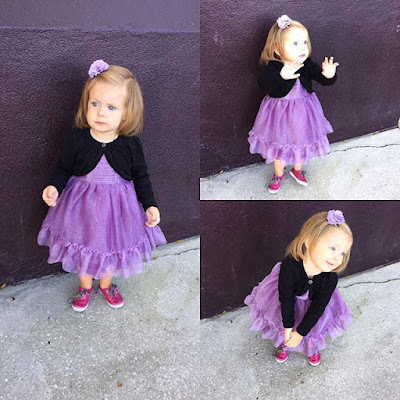 With only seven weeks to go until Alyssa Webster's January 27th due date, she and husband John Webster have decided to announce the name they have chosen for their daughter. 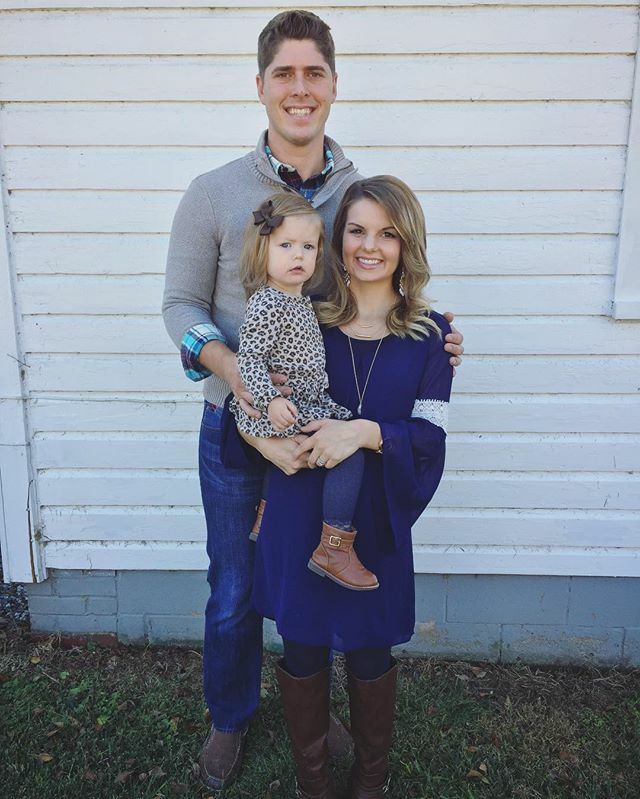 The couple is looking forward to the arrival of Lexi Mae Webster. 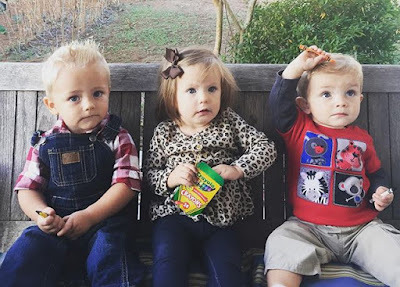 When the baby comes, older sister Allie Jane Webster will be 21 months old. 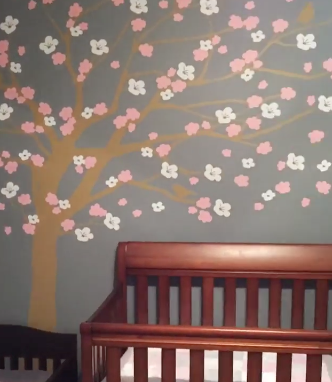 Check out this video showing the Websters' newly decorated nursery. The curtains were made by Michael (Bates) Keilen, and the tree wall decal (shown above) is from Simple Shapes. Isn't it clever how Alyssa saved space by putting the changing table in the closet? If anyone has trouble viewing the video, we recommend trying a different device, as well as updating your version of Adobe Flash Player, if you are using a desktop or laptop computer. 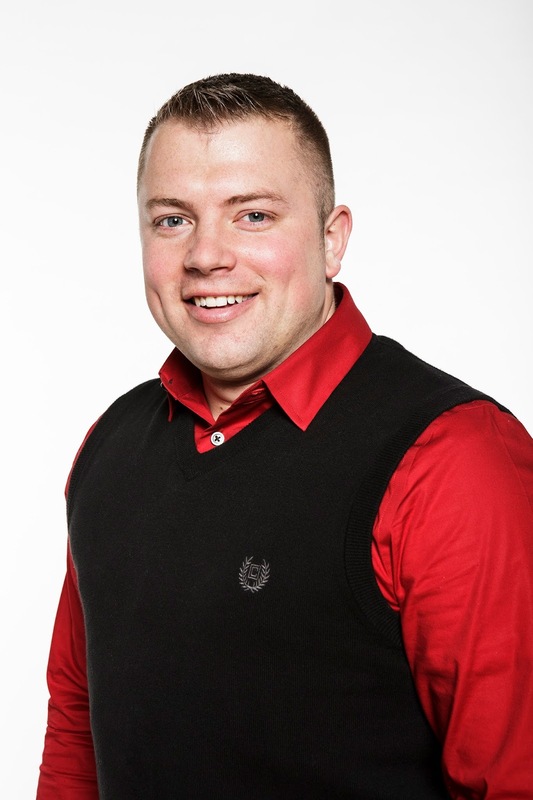 Last week, we shared a video featuring Michael and Brandon Keilen. (Check out Saturday's post to watch.) 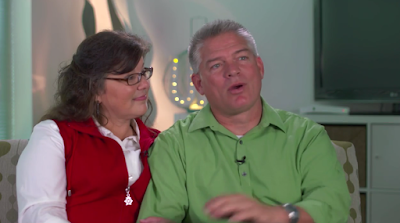 In the clip, the Keilens explain what they love about Christmas, and they also mention the tree stump ornament that they would make to commemorate their first Christmas tree. Yesterday evening, the talented Brandon Keilen pulled out his wood burning kit and turned this piece of wood into a beautiful keepsake. What do you think? Hope y'all had a relaxing weekend! Here's a cute video to brighten up your Monday morning. 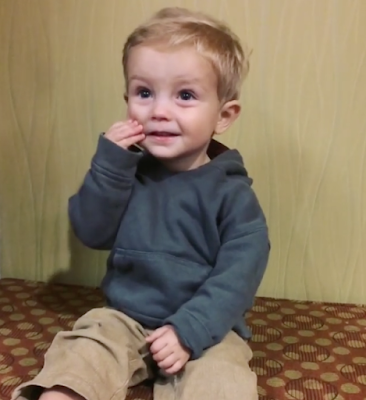 Watch 18-month-old Carson Paine showing off his knowledge with Aunt Katie Bates. You can hear Uncle Lawson Bates, who is videoing the scene, laughing at the end, when Carson is trying to undo his onesie to find his belly button. 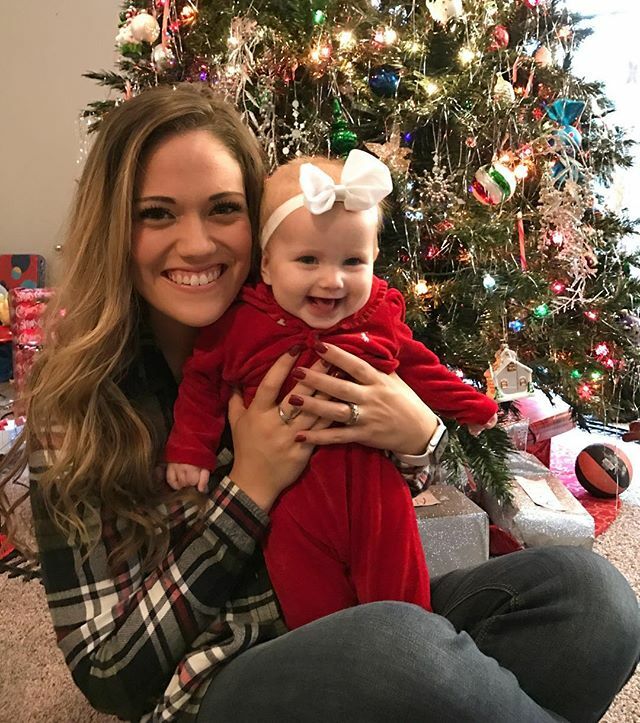 "[Christmas] is busy with all the gifts and the shopping....but when you finally settle down and it's Christmas week, it's always a really special time." This will be the second Christmas that Michael and Brandon Keilen will celebrate as a married couple. 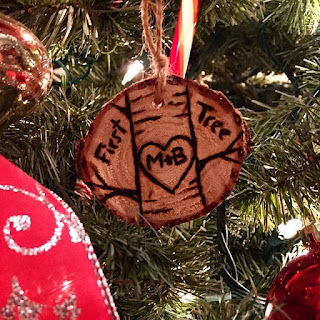 They share in the video below that they are looking forward to making an ornament out of the stump of their first Christmas tree. Have you ever made a Christmas tree stump ornament? "Christmas is my favorite time of year, always has been." 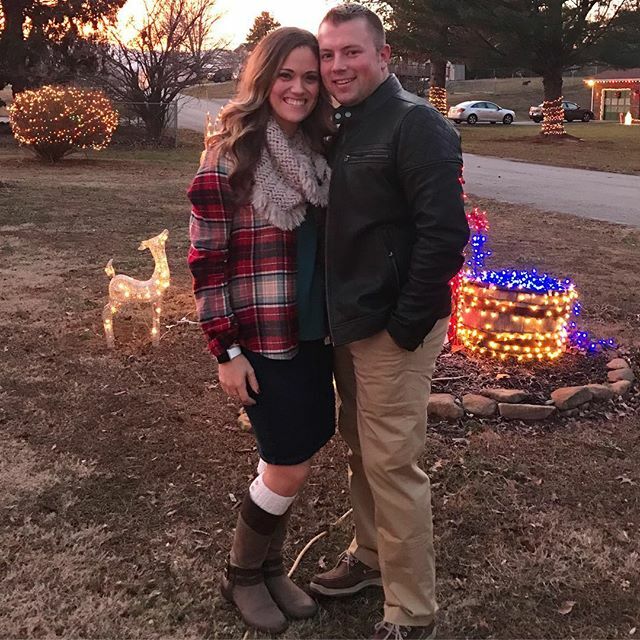 Zach and Whitney Bates adore Christmas, and they aren't afraid to show it. 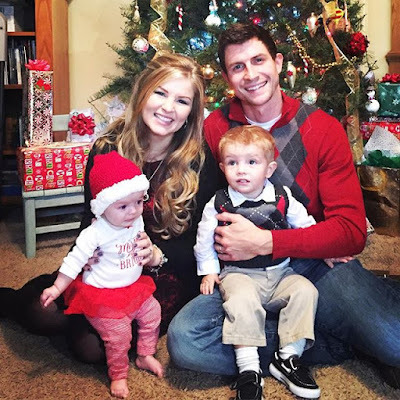 They are looking forward to experiencing the magic of the season with Bradley and Kaci Lynn and telling them all about the meaning behind the holiday. Whitney also loves baking Christmas cookies and watching Christmas movies.